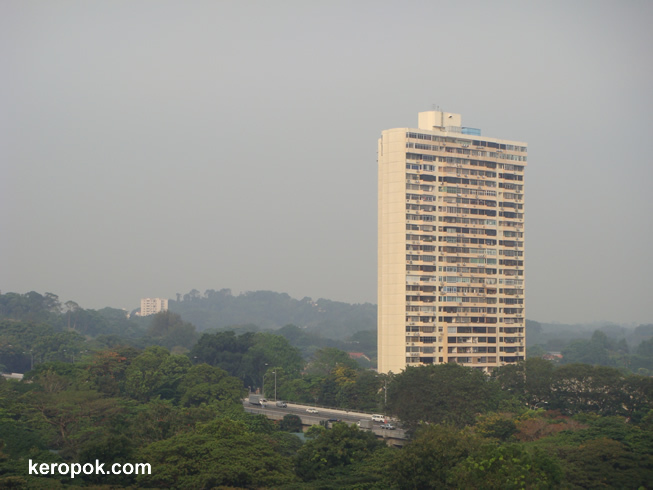 'Boring' Singapore City Photo: Haze is back..
Today is Sunday and this was taken on Sunday afternoon in Singapore. It seems that the haze is back in Singapore and it's earlier than usual. This is taken at 5PM plus. When usually it is much brighter and clear. We have the same haze problem here. Fortunately it rains everyday and that really helps to clear the air! It's really refreshing after every heavy pour!